This post contains affiliates and I will make a commission from your purchase, at no extra cost to you. 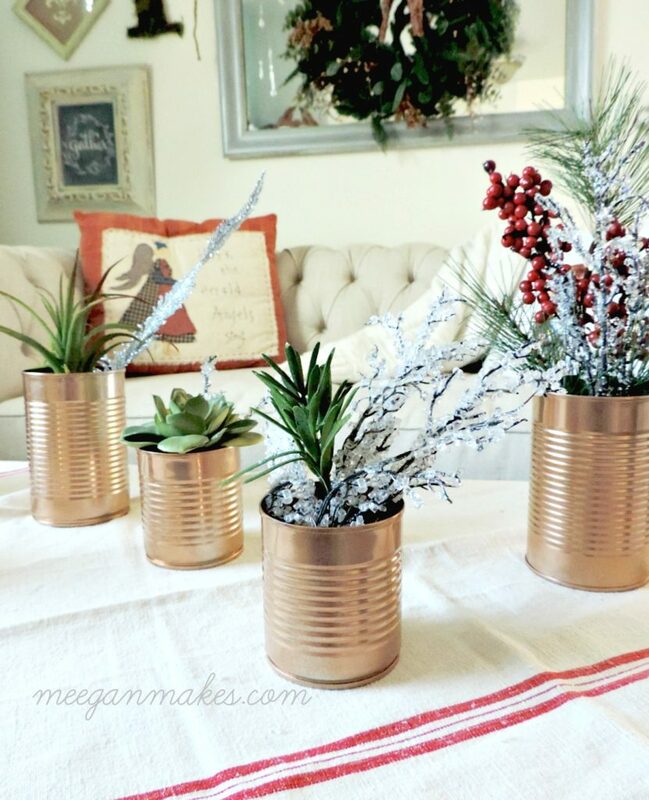 My DIY Copper Christmas Pots were as simple as can be. With some empty, clean tin cans and some spray paint, I was set to go. 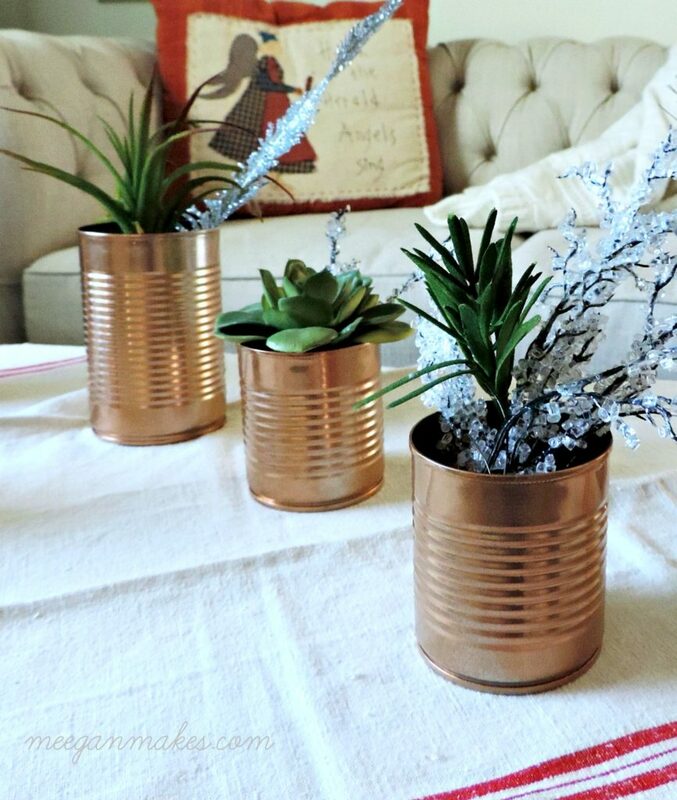 After a few months of collecting tin cans in various sizes, I was ready to create what I had envisioned. 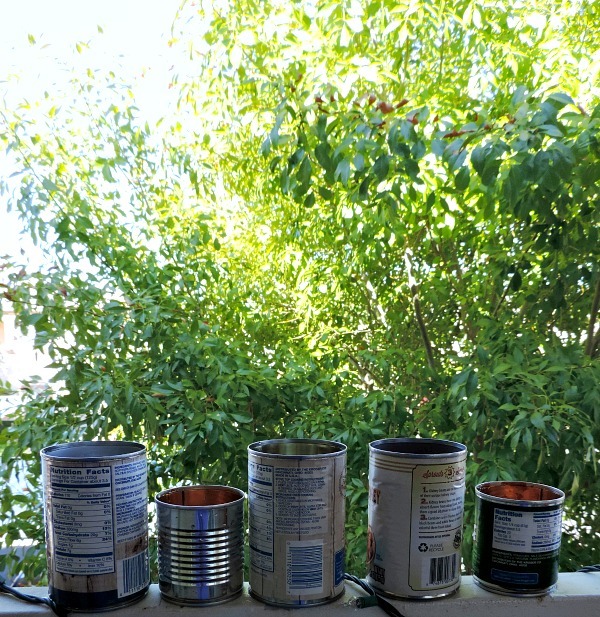 I used and cleaned out green bean cans, tomato sauce cans and stewed tomato cans. I also soaked them in soapy water to remove the labels. This was prabably the hardest part. But, I was patient. 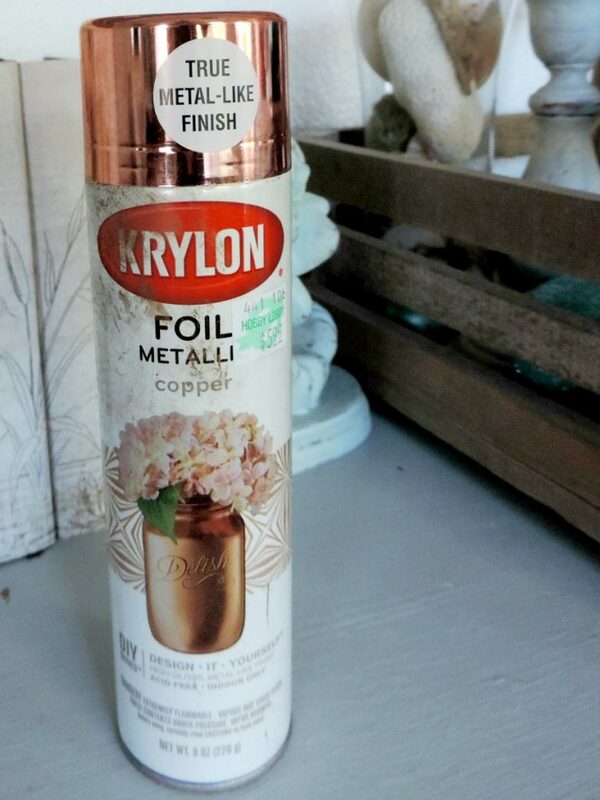 My next step was to purchase the Krylon Copper Spray Paint . 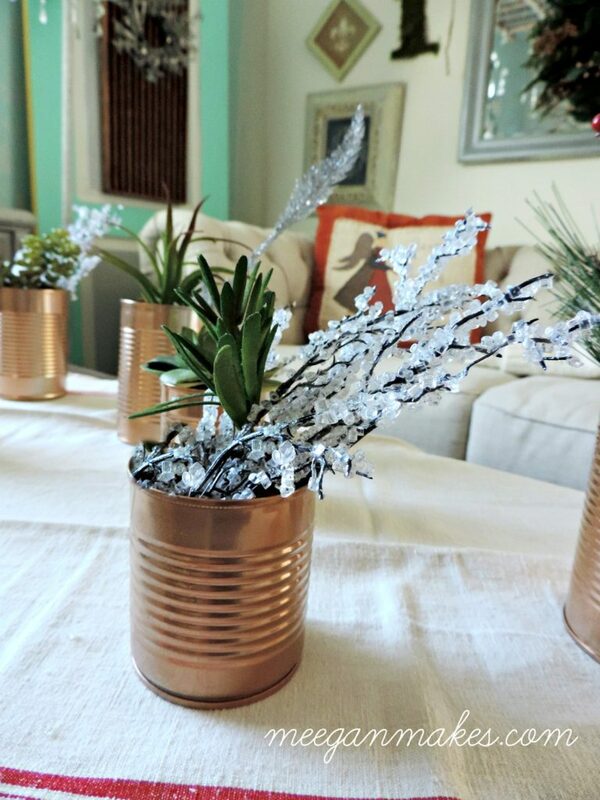 To create my DIY Copper Christmas Pots I purchased faux succulents and crystal branches . 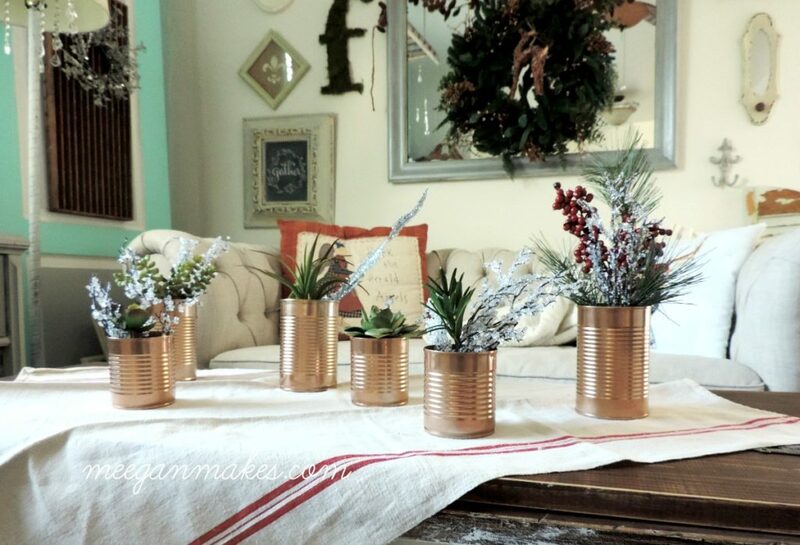 After letting the DIY Copper Christmas Pots dry for at least two hours I was ready to make a few arrangements for our living room coffee table. 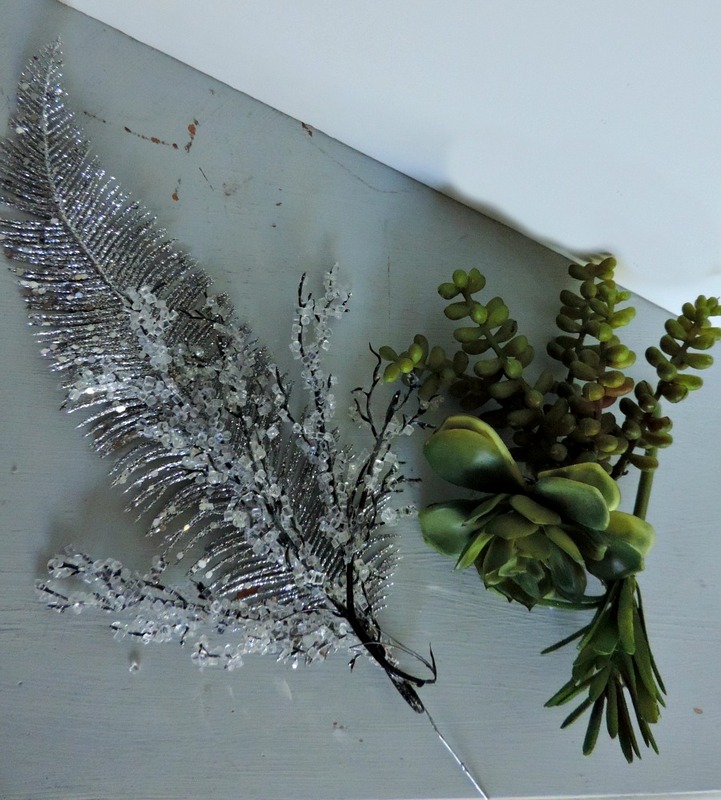 With vaious sizes shapes and colors from the succulents and crystal branches, I was able to make a beautiful centerpiece or tablescape. 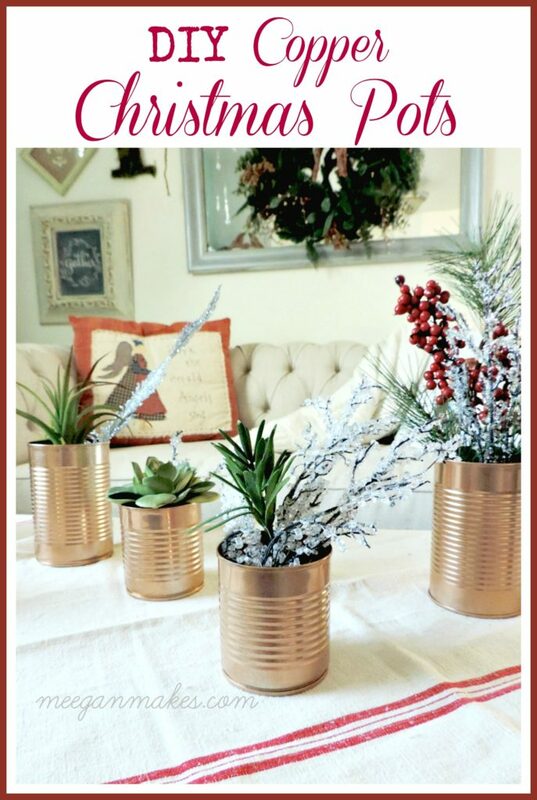 I really like how the tin cans now have a rich copper color. Each can is filled with different shapes and sizes. So they coordinate with each other, and yet they are not they same. Al in all, I made six cans for this particular tablescape. With a vintage french towel as a table cloth, I was able to bring a Christmas red into the table along with a few red berries. 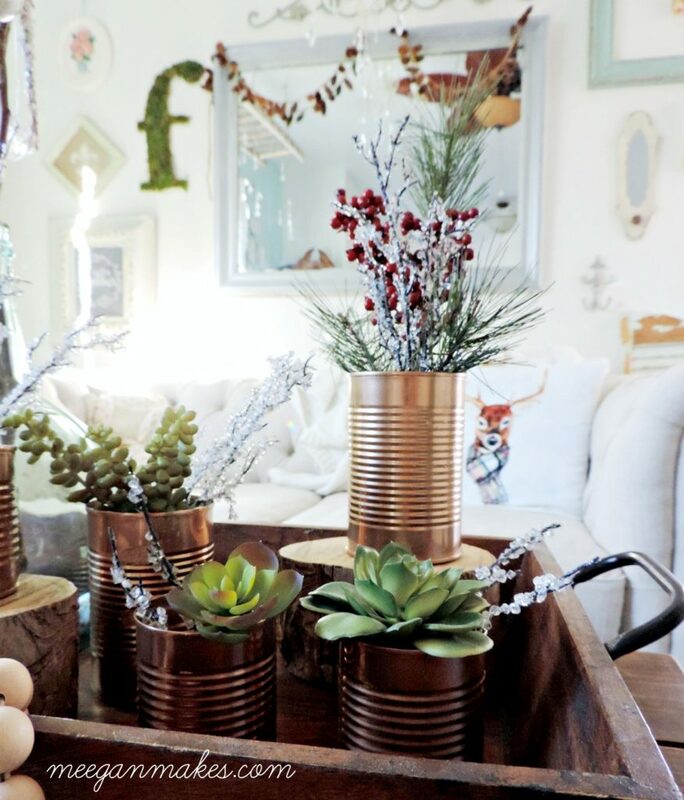 You can make your own DIY Copper Christmas Pots, too. 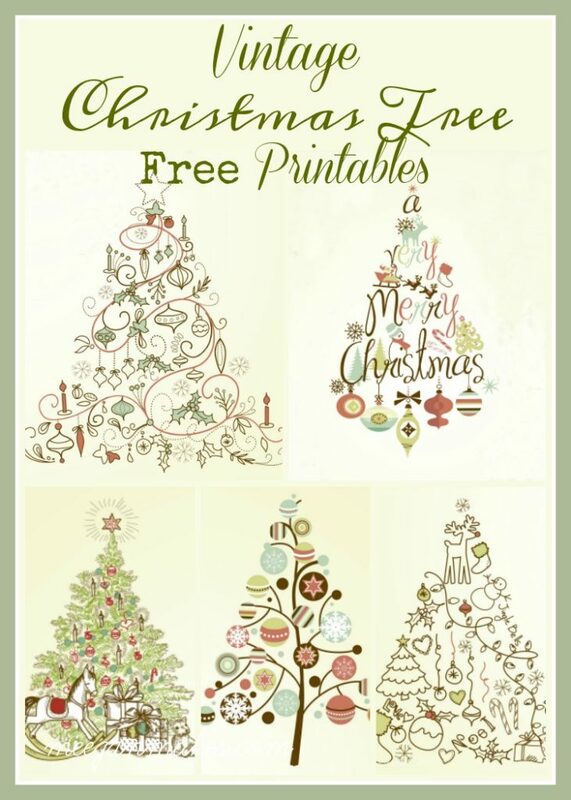 AND even use them all year long. For a whole new look paint them red for the Holidays or Valentines Day, White for Winter, Pink for Spring, and light blue for Summer. Doesn’t that sound fun? 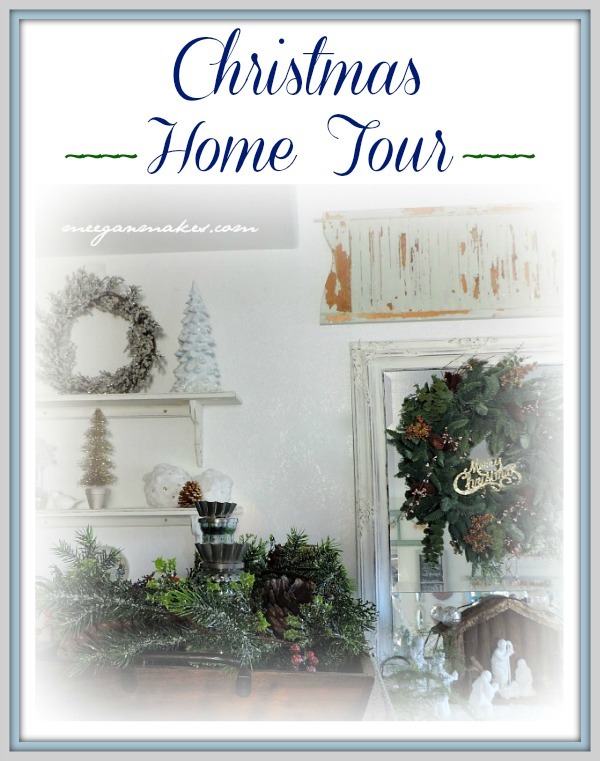 Use your own creative juices and you will have the style and colors that fit in your own home. I can’t wait to see what you come up with. Thanks for joining me today. It is always a pleasure to have you here.